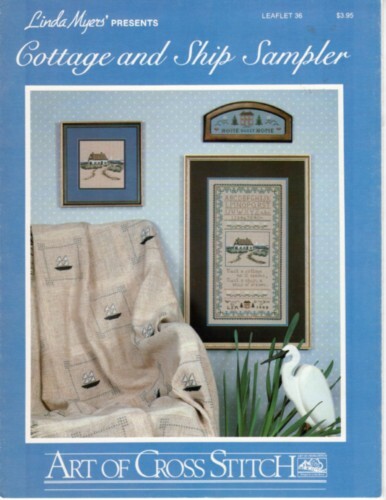 Art of Cross Stitch Cottage and Ship Sampler Linda Myers counted cross stitch leaflet. Home Sweet Home, Cottage and Ship Sampler, Ship of Dreams Afghan. Appears in like-new condition. Some minor shelf wear to cover and along edges. Price tag on cover.